As more and more people use marijuana, many states are beginning to legalize the drug. New Jersey is not one of those states. In fact, New Jersey had 32,263 arrests for marijuana possession in 2016 according to the FBI’s Uniform Crime Reporting Program. The overwhelming majority of these arrests involve possession of marijuana under 50 grams, also known as simple possession of marijuana. This offense, codified in N.J.S.A. 2C:35-10(a)(4), is probably the most common charge issued in Morris County, New Jersey. The prevalence of marijuana arrests should not lead you to believe that marijuana offenders are not prosecuted harshly in New Jersey courts. Even disorderly persons marijuana possession is a serious offense that can subject offenders to severe punishments, including jail time (unless you were legally prescribed the drug by a physician), $1,000 fine, possible probation, suspension of your NJ driving privileges, and a permanent criminal charge on your record. If you have been charged with marijuana possession in New Jersey, our Morris County criminal defense lawyers know how to defend you in court. We will examine all aspects of your case including the traffic stop, search, chain of custody, and lab reports in an attempt to suppress evidence and have the case dismissed entirely for you in court. 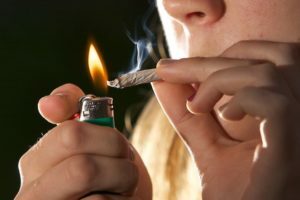 If you or a loved one has been charged with possession of marijuana or another drug-related offense, the experienced Morris County marijuana defense lawyers at the Tormey Law Firm can help. Our attorneys have extensive experience representing clients charged with drug crimes, including possession of marijuana, possession of prescription drugs, and possession of drug paraphernalia. With offices in centrally-located Morristown, we regularly appear in courts throughout Morris County, including those in Parsippany, Dover, Denville, Mount Olive, Roxbury, and Rockaway. To discuss your marijuana case with one of our highly knowledgeable attorneys, contact us today at (908) 336-5008 for a free consultation. Simple possession of marijuana is governed under N.J.S.A. 2C:35-10(a)(4). According to the statute, it is unlawful for any person to either actually or constructively possess 50 grams or less of marijuana. 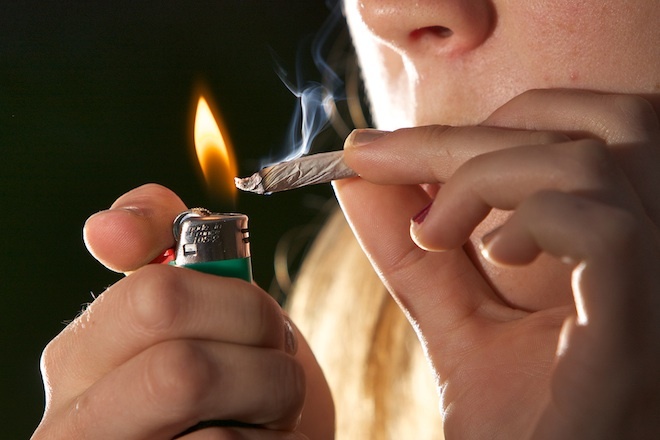 The statute refers to different kinds of “possession.” A person may be charged with simple possession of marijuana even if he or she does not actually have the marijuana on his or her person. “Actual possession” means that the defendant had physical possession of the marijuana at the time of the arrest. The most obvious example is when the defendant had the marijuana on his or her person. Another example is when the defendant had the marijuana hidden in a bag or pocketbook. “Constructive possession” means that the defendant did not have physical possession of the marijuana when he or she was arrested but was nonetheless aware of the marijuana’s whereabouts and had control over the marijuana. This is most common when the defendant had the marijuana hidden in the trunk of a car. A sentence of up to six (6) months in the county jail and a $1,000.00 fine. A six-month suspension of the defendant’s driving privileges in the state of NJ. A drug conviction on the defendant’s permanent criminal record. This can make it more difficult to secure a job in the future. If you’ve been charged with marijuana possession, we can help. The drug defense team at the Tormey Law Firm includes a former Morris County prosecutor who has experience prosecuting drug cases. Having a former prosecutor on staff gives us insight into how the other side thinks and makes it easier for us to formulate defense strategies to help you beat your marijuana possession charges. We also understand the nuances of courtroom procedure in Morris County New Jersey, which enables us to seek sentencing alternatives on your behalf. For instance, if you have never been convicted of a drug charge in New Jersey, we may be able to get you accepted into a diversionary program such as the conditional discharge program. If you are accepted into this program, you will avoid jail time and keep your permanent criminal record clean. The Tormey Law Firm has an office conveniently located in Morristown NJ, so we are available immediately to assist you. For a free consultation about your marijuana possession charge, contact us anytime at (908) 336-5008 or use our online contact form. One of our skilled Morristown marijuana lawyers will be happy to speak with you about your case and discuss your legal options.